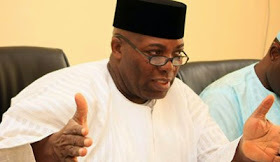 Mr Doyin Okupe Senior Special Assistant to the President on Public Affairs on Monday 26th of January, 2015 during his interview on silverbird TV at a programme "Nigeria Decides" made a bold statement where he said " i will offer N1million to any Nigerian that will list 10 achievements of General Buhari in or out of office"
win the money, so i am bringing this to all APC/GMB supporters, please can we put together 10 achievements and win the cash, when we do, bring my share o.
you that made this comment. shut up! during Buhari's regime what did he do other than make Nigerians shed tears? go ahead and vote for him so he can repeat all his wickedness and evil acts!